Lowery: Like deep-sea volcanic vents, Williamsburg, Brooklyn, is an exotic and highly specific ecosystem. The specialized evolution around the volcano vents on the ocean floor produce some pretty exotic creatures: fragile creatures that look both nightmarish and fanciful when pulled to the surface. Williamsburg produces highly specialized exotic bands: bands that evolutionarily don’t make any sense, bands that could not exist anywhere else on the planet save a few hyper pretentious places like Portland, Ore., or Pitchforkistan. In larger, more robust ecosystems, there tends to be an evolution away from things like autoharps, badly played theremins and clarinets, as those tend to get tangled in the undergrowth when one is fleeing into the woods from large predators or viking raiders. 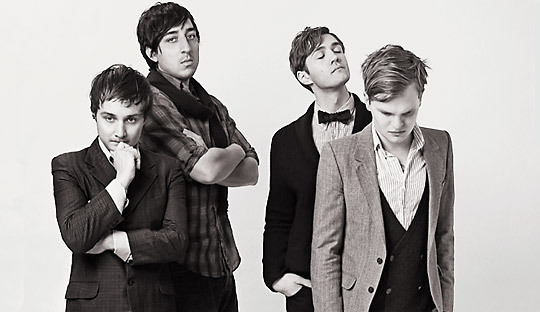 Grizzly Bear, on first glance, could be one of those bands. A studied teutonic atonality from the guitars and drums. Overtop this: high, soft-rock vocals. Less Beach Boys, more Bread. It’s as if half the band is dreaming of Blixa Bargeld at Die Loft Club, Berlin 1983, while the other half the band, oblivious, is running around mustachioed and shirtless in some North Marin County meadow. But Grizzly Bear harmonizes marvelously. The songs meander along pleasantly, never quite obvious where they are going (no small feat). I came across the track “Knife” on my iPod. It’s from two or three years ago. It still sounds good. They have a new album (Veckatimest) coming out this month, but I’m not a real journalist, so I don’t get sent advance copies. 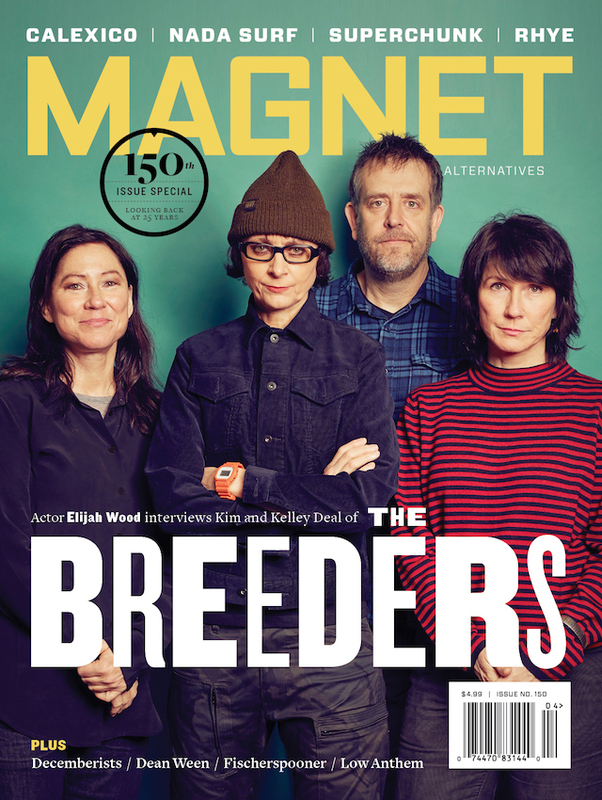 Perhaps MAGNET’s real editor would be so kind as to post a link to one of the new tracks below.